The Focused Filmographer has been officially nominated for the category of BEST NEW LAMB in the 2013 LAMMY Awards! How the process works is quite impressive and there are numerous stages. Suffice it to say, that after all the votes from the consideration stage down to the nomination stage, Yours Truly is up against some very impressive competition in the category of BEST NEW LAMB. The official list of nominees has been released and the polls are open (for current LAMB members to vote) HERE. Final voting for the selection of winners is open to all current LAMB members beginning April 17 and ending April 30th. 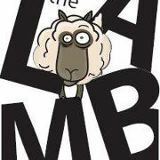 The presentation of winners will occur on the Lamb site starting May 6 and ending May 15. I thank you all for following and supporting this site! It is a lot of fun being a part of your regular internet website visits each week. 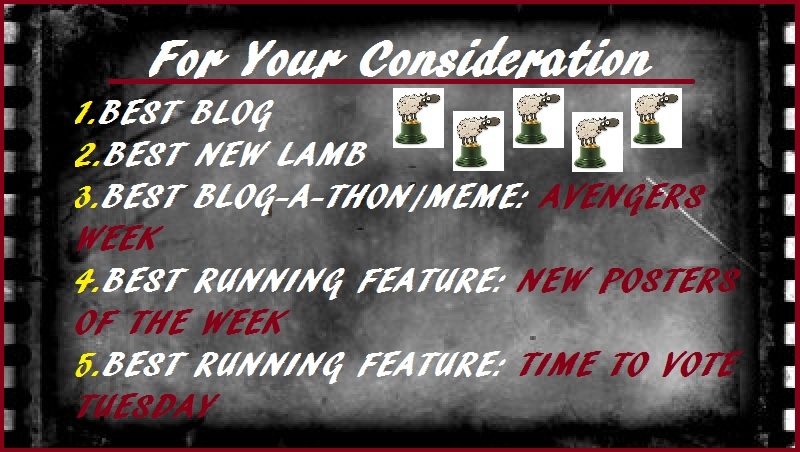 I ask for your consideration and vote for BEST NEW LAMB as voting is open from now until April 30th. Thanks, as always. See you at the LAMMYs! Mistylayne, Thank you for the wishes. I appreciate that and am glad to be listed among so many other great New Lambs! Congrats T. It’s a very tough list of blogs isn’t it? It could go anywhere but it also shows that we’re doing something right by standing alongside so many great sites. All the very best of luck, man. a def tough list and I like how you put it. It does show that we are doing something right. Some great sites. Congrats to you as well and the best of luck! All the nominees are winners in my book. Congrats sit, sorry to see some of the other categories didn’t make it through as I’d have voted for them, but it’s great to be up on the board 🙂 Good luck with the voting! ya know, it’s okay. From 5 to 1. I was pretty stoked that people saw them even worth of being nominated. I am excited to make it to the final round in new lamb, but I think it def is the toughest of all the categories. Congrats to you as well! T-Man I’m thrilled to share nomination space with you! You all are talented company to keep! Keith! the feeling is mutual. I’m happy that you’re right there alongside. Congrats to you too! Congratulations and good luck in the voting! thank you much, and the same to you! Congratulations on the Lammy nomination, T! Quite a crop of New Lambs this year. Good luck in the final voting! Thanks Morgan. I appreciate it.